Celestial Chainmail is company started by a husband and wife team who lives outside of Crestview, Florida. Two other artist friends help out with the shop and even create some of their own items as well. Chainmaille is the art of hand weaving tiny little rings to create such items as jewelry, armor, clothing and other great items. If you are thinking of knights and battle gear, you are on the right track. 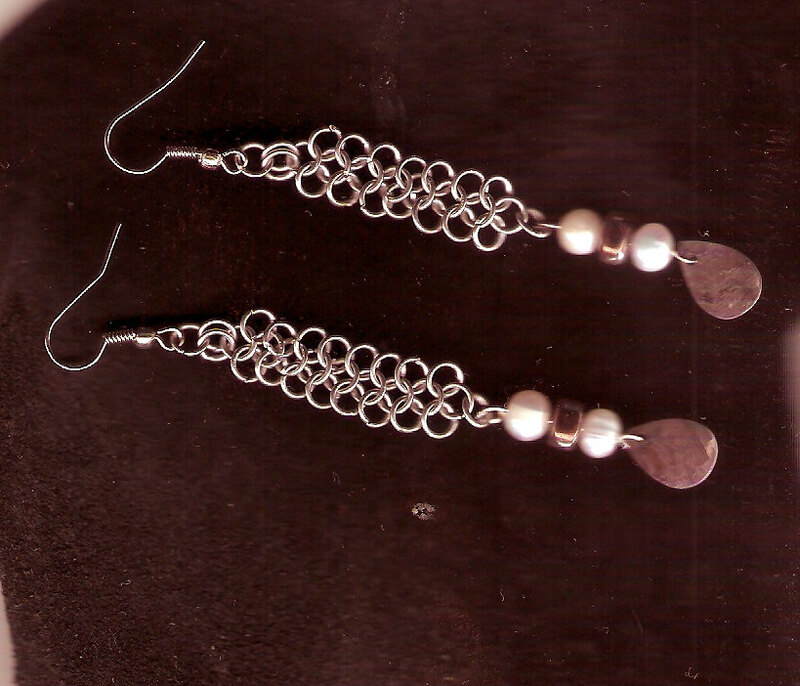 Special pieces are added to some creations such as beads, shells, feathers and coins. The process of weaving the the jump rings is time consuming and is very difficult intricate work. Some works taking months to complete. I can only imagine how sore their fingers can get. But the owners say, "All in all it is very rewarding in the end". The owners of Celestial Chainmail vend at the local Gulf Coast Renaissance Fair and Pirate Festival. 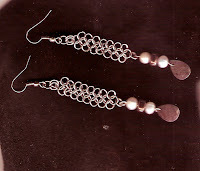 You can also see their lovely work at http://www.etsy.com/shop/CelestialChainmail. Special orders are welcome! All products come with a lifetime warranty.